Dishonored 2, the sequel to Arkane Studio’s highly successful Dishonored stealth action title, has a release date. It also has a new gameplay trailer and news of a Collector’s Edition. My wallet is already looking at me like I forgot our anniversary. E3 2016 was a blast for all Bethesda fans, especially those who are fans of Dishonored. The publisher knew exactly how to tide fans over until the new game releases. A brand new gameplay trailer depicts a party pooper crashing the anniversary celebrations of the late Empress, Jessamine Kaldwin, but that is about as much story as we are going to get for a while. The trailer then starts to showcase some of the beautifully rendered locales players will visit… and death. Lots and lots of murdery, stabby, death. 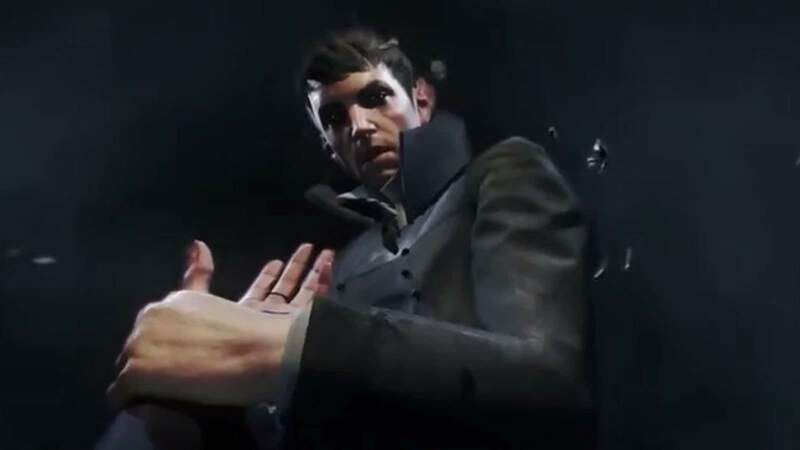 Dishonored 2 is set 15 years after the events of the first game. Emily Kaldwin, now confirmed to be the daughter of Corvo, is Empress. In a move to overpower the young Empress, a mysterious woman crashes the anniversary celebration of the death of Emily’s mother. This resulted in Corvo and Emily fleeing Dunwall and finding their way to Karnaca. Called “The Jewel of the South” by the residents of the game’s universe, Karnaca is the capital city of Serkonos. Corvo, who originally is of Serkonian descent, will have extremely different views on the city than Emily. 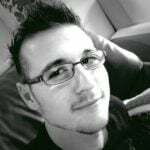 As such, Harvey Smith, Arkane Studios Co-Creative Director, has mentioned that players will want to play the game through twice for each protagonist’s view. Along with the incredible new gameplay footage, we have also learned of the Collector’s Edition for the game. It looks incredible! Said to be a “must-have for every supernatural assassin’s collection”, the Collector’s Edition really is something else. 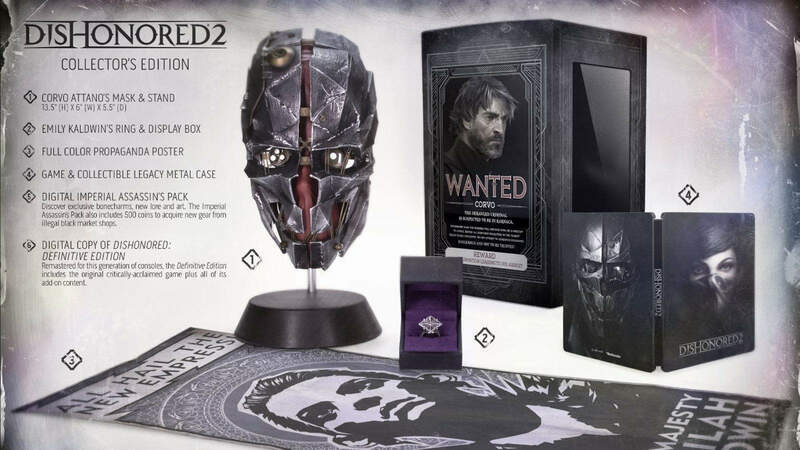 Players who decide to purchase the Dishonored 2 Collector’s Edition will get a perfect replica of Corvo Attano’s mask. Standing at 35 cm in height, 15 cm in diameter and 14 cm wide, it looks like it is an almost 100% scale replica. Additionally, players will also receive a replica of Emily Kaldwin’s ring and a display box. The ring is constructed out of Zinc alloy while the box is embossed in purple velvet lining. 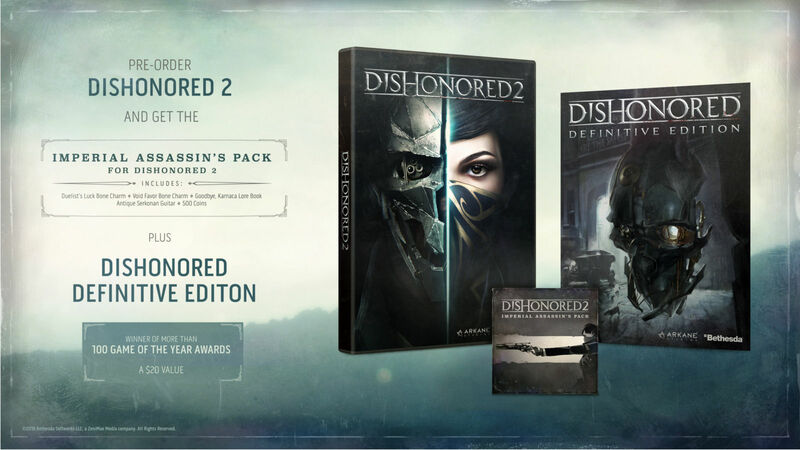 The Dishonored 2 Collector’s Edition will also include a collectible Legacy Metal Case, a Digital Imperial Assassin upgrade pack, and the Definitive Edition for Dishonored 2. Overall, the Dishonored 2 Collector’s Edition really sounds like a premium collector’s package. The fact that it comes with both the mask and the ring only cements it as one of the better Collector’s Editions this year. For those interested, the Collector’s Edition will retail at $99.99 USD (R1,435.00 ZAR). The rather steep price could be well worth it, though, depending on how much value you put into premium collectibles. Dishonored 2 will release on 11 November 2016, and will be available on the PlayStation 4, Xbox One, and PC.